After all your party guests have completed building their Tamiya Car, everyone heads off to the Raceway for some racing action. Your Tracks Hobbies Party host will conduct a series of races, much like that of an official Tamiya race. The twist? There is not an emphasis on winning. 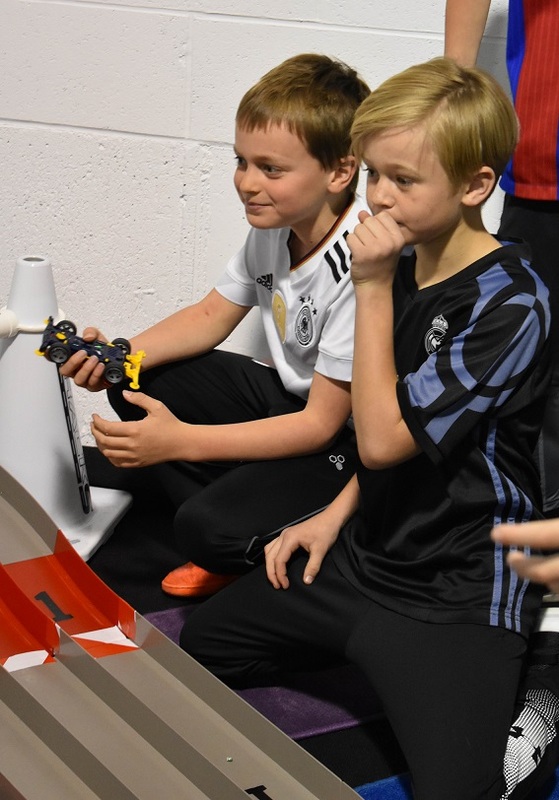 Rather, your guests will be encouraged to have fun and enjoy watching their Tamiya car whirl around the 3-lane track! This Racing Step is typically 30 minutes. After the party is over, your guests are always welcome to bring their cars back into the Raceway for more racing fun!